SEB's Annual General Meeting has been held in Stockholm on Tuesday, 28 March 2017. 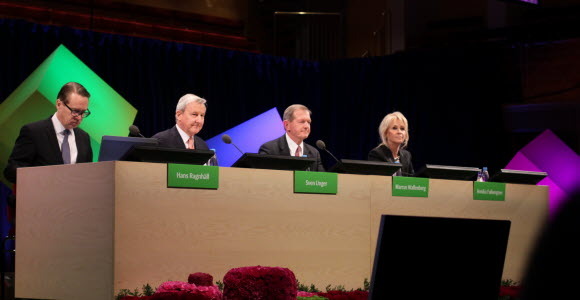 According to a decision of Skandinaviska Enskilda Banken's Annual General Meeting the Nomination Committee shall consist of one representative of each of the four shareholders, or group of shareholders, controlling the largest number of votes in the Bank, who wishes to appoint a representative. The names of the representatives shall be published not later than six months prior to the Annual General Meeting.